NEW YORK - Exiled Chinese tycoon Guo Wengui and Steve Bannon Tuesday implicated China in the seemingly accidental death of tycoon Wang Jian, accusing Beijing of murdering, imprisoning and torturing its own people on a massive scale. The two men used a news conference held amid tight security in a five-star New York hotel to announce that they were going to use a $100 million fund set up by Guo to investigate such persecutions, including “fake suicides” and assassinations that they accuse Beijing of perpetrating. 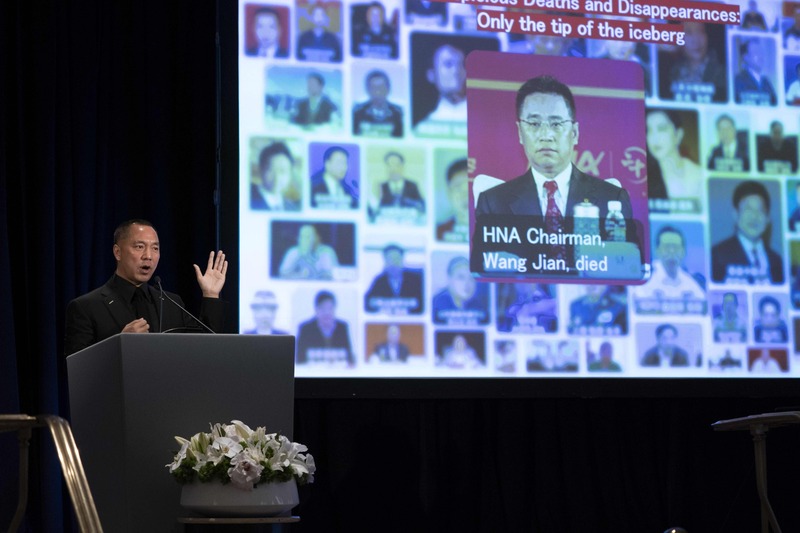 The exiled Guo, who has sought asylum in the United States but whose arrest is demanded by Beijing, together with the former White House chief strategist gave as one example the July death in France of Wang, co-founder of the sprawling conglomerate HNA Group. 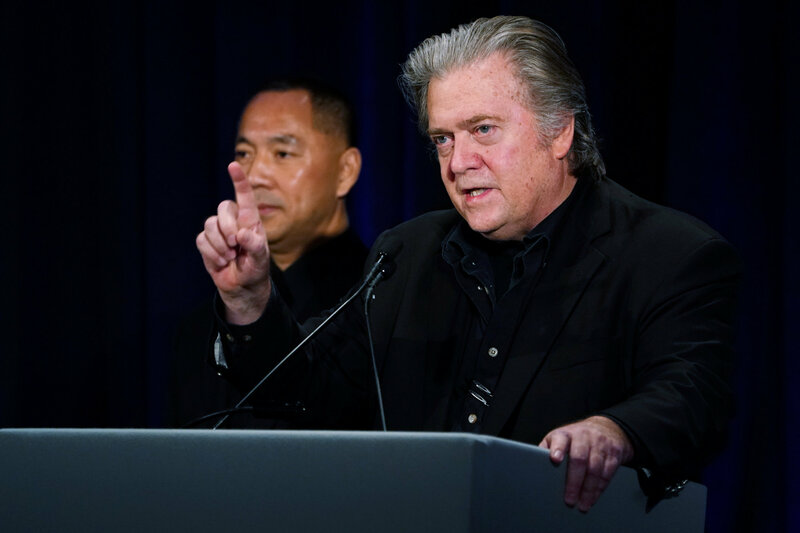 While the French police deemed his death accidental, Bannon compared Wang’s demise to the killing of dissident Saudi journalist Jamal Khashoggi in Turkey and of Russians in Britain, blamed on Riyadh and Moscow respectively. Speaking through interpreters, Guo said he had commissioned an inquiry into Wang’s fatal fall, which he said revealed “suspect elements” — contrary to the findings of French police. His investigators made six visits to the French medieval village of Bonnieux, uncovered anomalies and pointed to suspicious behavior among the bodyguards allegedly accompanying Wang at the time, Guo alleged. Guo accused them of giving Wang facial acupuncture as he lay injured from the fall and of refusing other medical assistance. 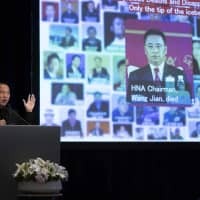 The businessman claimed that Wang was killed because “he knew too much” about ties between HNA and the Chinese secret services, to which he attributed its spectacular overseas growth and doubts surrounding its true ownership. The fund that Guo intends to launch next week will investigate similar cases, and assist victims of the Chinese regime and their relatives. 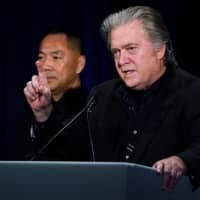 Bannon, who was sacked from the White House in August 2017 and is known for his embrace of populist movements, said he met Guo while at the White House. Donald Trump’s former staffer, who met Guo while serving in the White House, told the news conference that he would preside over the fund as a voluntary chairman and would not be taking a salary. “It’s a matter of duty for me,” Bannon said.